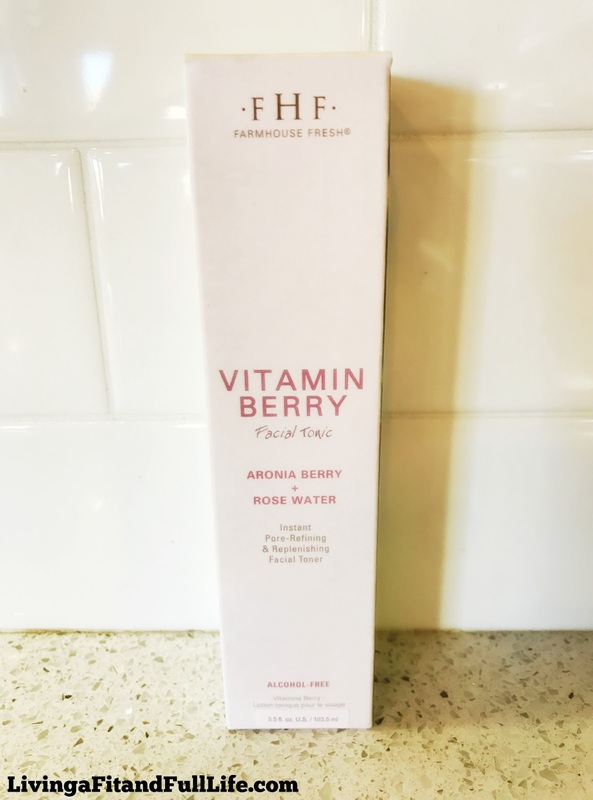 Living a Fit and Full Life: FarmHouse Fresh's New Vitamin Berry Facial Tonic Delivers Highest Antioxidant Replenishment with Instant Pore-Disappearing Effect! 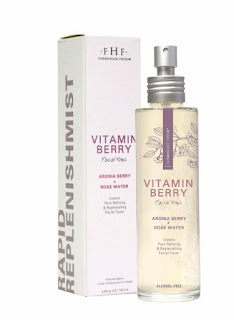 FarmHouse Fresh's New Vitamin Berry Facial Tonic Delivers Highest Antioxidant Replenishment with Instant Pore-Disappearing Effect! Like all FarmHouse Fresh products, our Vitamin Berry Facial Tonic is Paraben & Sulfate free. FarmHouse Fresh's new Vitamin Berry Facial Tonic delivers highest antioxidant replenishment with instant pore-disappearing effect! I'm over the moon in love with this product and the results it gives my skin. It instantly tightens my pores leaving my skin looking and feeling silky smooth. My skin is also instantly hydrated which feels oh so incredibly to this dry skinned gal. My fine lines are softened and the results are incredible. 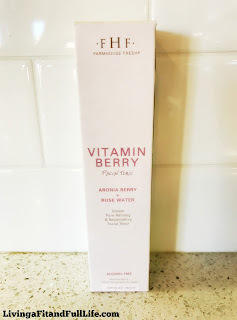 FarmHouse Fresh's new Vitamin Berry Facial Tonic gives me flawless skin and makes my makeup glide on with ease. In fact, it's an absolute must have for my makeup routine and makes a terrific base.